SuperVolotea sale: super cheap flights across Europe for €1! 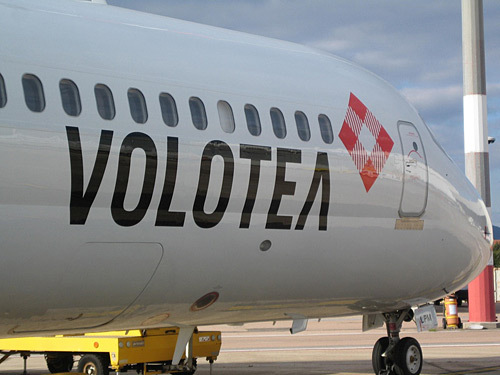 Volotea today launched amazing sale for members of SuperVolotea club. You can now book Volotea flights across the whole Europe for only €1 per one-way flight! This offer is available only to members of SuperVolotea club which costs €49.99 for 1 year and entitles you to get these amazing discounted prices for you and unlimited amount of friends traveling with you! If you fly in group of 4 people for example then you need just 1 SuperVolotea membership and all members of the group can fly for €1 then! Volotea has wide network of flights to over 50 different airports so we are sure you will find an interesting deal for you! This sale ends in 2 days and amount of €1 seats is limited so you better hurry up! Travel dates are from April to end of June. Book directly through Volotea (switch your language in top right corner if needed, it is also overloaded a bit right now). « Cheap flights to Iceland: Reykjavik from Berlin for €182!